Scrapped in 1958 at La Spezia, Italy. 111k Panoramic photograph of the ship with troops on deck, while she was transporting World War I veterans home from France in 1919. Collection of Alvie Dawkins. Donation of Roger Dawkins, 2004. 60k Halftone reproduction of a panoramic photograph of the ship crowded with troops in 1919, while she was bringing American servicemen home from France. Collection of Alvie Dawkins. Courtesy of Roger Dawkins, 2004. 151k Photographed from onboard USS Alaskan (ID-4542) at St Nazaire, France, 1919. 95k Fortune shown between 1949 and 1958. 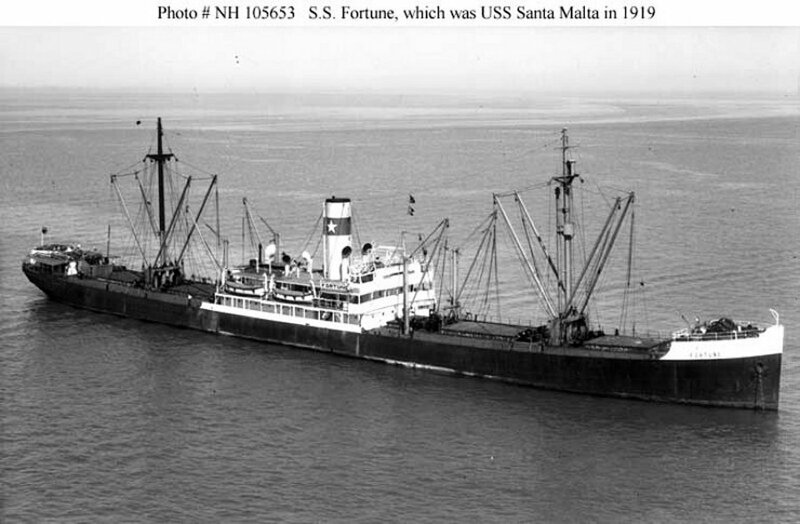 Operated under the War Department account, Santa Malta was assigned to the Cruiser and Transport Force, Atlantic Fleet, returning American troops home from Europe. Departing Philadelphia on 22 May 1919, she made three round-trip voyages from New York and Philadelphia to Brest and Bordeaux, France, before 29 August. Remaining under War Department account, Santa Malta departed from New York on 10 September 1919 for Colon, Panama, with a cargo of Army pontoon bridge sections and miscellaneous supplies. Santa Malta called at New Orleans, La., before reaching Panama on 1 October. Departing Colon on 6 October, she steamed northward to New York for drydocking and overhaul. Santa Malta was detached from the Cruiser and Transport Force on 14 October 1919 and transferred to the Commandant, 3d Naval District. 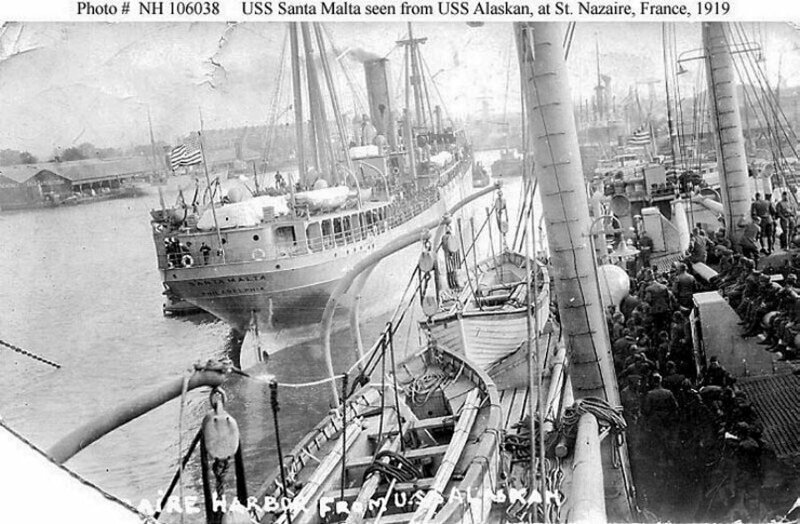 Santa Malta was decommissioned on 6 November 1919 at Todd Shipbuilding Corp., Brooklyn, and simultaneously returned to the Shipping Board for eventual return to her owner. Renamed Hawaiian in 1925, she was transferred to Panamanian registry in 1948 as Fortune before being scrapped during 1958.